Now that Viper production is on temporary halt due to poor sales, it seems that the folks over at Street and Racing Technology (SRT) are spending time developing a new, special edition version of its V-10-powered sports car. The brand’s newest iteration, which is on display at the New York Auto Show as we speak, brings together two of the meanest SRT Vipers launched throughout the last 12 months. We’re talking about the Viper Anodized Carbon Special Edition and the Corvette ZR1-killing Viper TA (short for Time Attack). Suggestively named Anodized Carbon Special Edition TA, the new model takes the coolest features from the aforementioned versions: a unique-looking body and a track-prepped chassis. 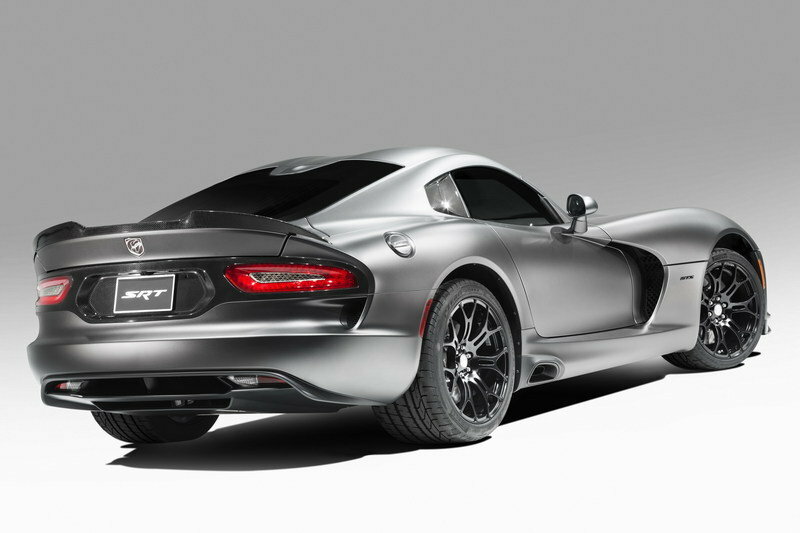 As you might already know, the 2014 SRT Viper Anodized Carbon Special Edition features an exclusive grey-like, metallic matte exterior color, satin black exhaust bezels, gloss black badges and a carbon-fiber rear applique. Moving over to the Viper TA, it’s main highlights are a Bilstein Damptronic suspension system tuned for track use, racing stabilizer bars, a carbon-fiber X-brace and high-performance Brembo brakes. So what happens when you take these machines and build them into one? 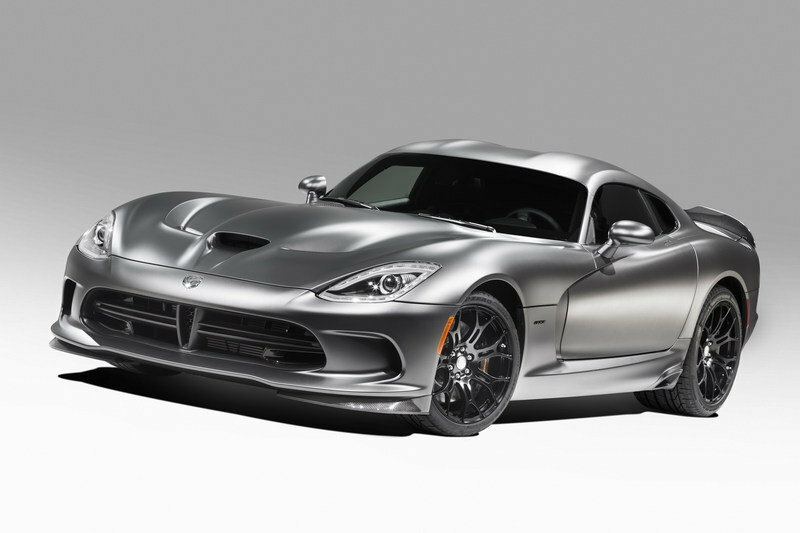 Click past the jump to find out more about the SRT Viper Anodized Carbon Special Edition TA. 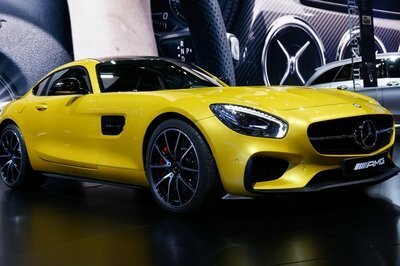 Only ten of these sports cars will be built, with the sticker set in the "GTS price class", which means about $125,000. Get them while they're hot! With all of the functional chassis and aerodynamic parts of the Viper TA available on this new sports car, the Anodized Carbon Viper can now take the track with better handling and cornering abilities at its disposal. 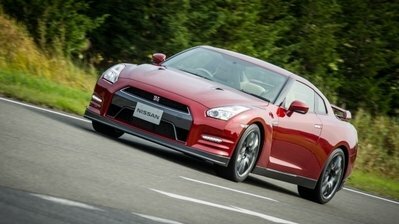 With help from the new carbon-fiber rear deck-lid spoiler and two-piece, front-corner splitters, the said model will benefit from a total of 339 pounds of downforce at 150 mph. The Pirelli P Zero Corsa tires are also included in the bundle, just in case you want to show off in front of your Corvette ZR1-driving buddies. Inside, the "hybrid" retains the amenities previously seen in the Viper Anodized Carbon Special Edition. Specifically, drivers will be greeted by an Alcantara-wrapped cabin with orange contrast stitching, Nappa leather and Alcantara sport seats, a carbon-fiber trim, gunmetal bezels and orange vent accents. 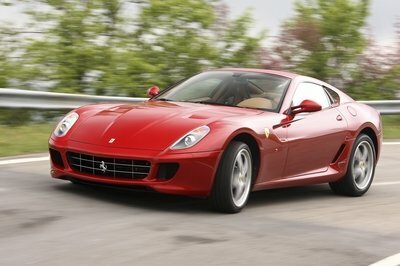 The 8.4-liter, V-10 engine remains unaltered, which means the output sits at 640 horsepower and 600 pound-feet of torque. 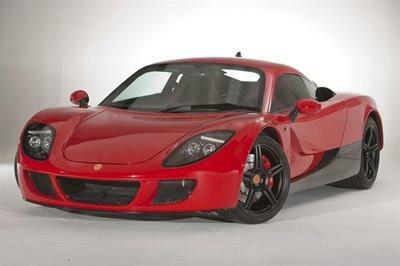 Only ten of these sports cars will be built, with the sticker set in the "GTS price class", which means about $125,000. Get them while they’re hot! The Anodized Carbon Special Edition Package was developed exclusively for the SRT Viper GTS. Besides the matte paint, the package also comes with Black Vapor Chrome five-spoke wheels with orange calipers, carbon-fiber brake ducts and rear applique, and an Alcantara and leather interior with orange and gunmetal accents. To be built in only 159 units in three colors (TA Orange, Venom Black and Bright White), the Viper TA is sold with standard Advanced Aerodynamics Package, Pirelli P-Zero Performance tires, Bilstein dampers, "Ballistic" cloth seats and a number of carbon-fiber parts. 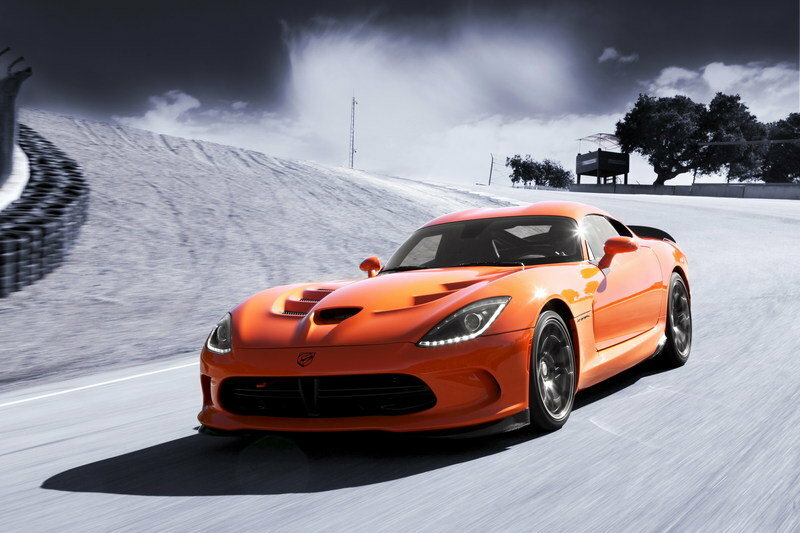 In 2013, the Viper TA broke the production car lap record at Laguna Seca with a time of 1:33.6 seconds. The $16,000 package can be fitted on the SRT Viper only. Shown for the first time today at the New York International Auto Show, the Chrysler Group’s SRT (Street and Racing Technology) brand is enhancing the ultra-exclusive, Viper Anodized Carbon Special Edition Package by combining it with the new Time Attack Group road-racing spec-package. 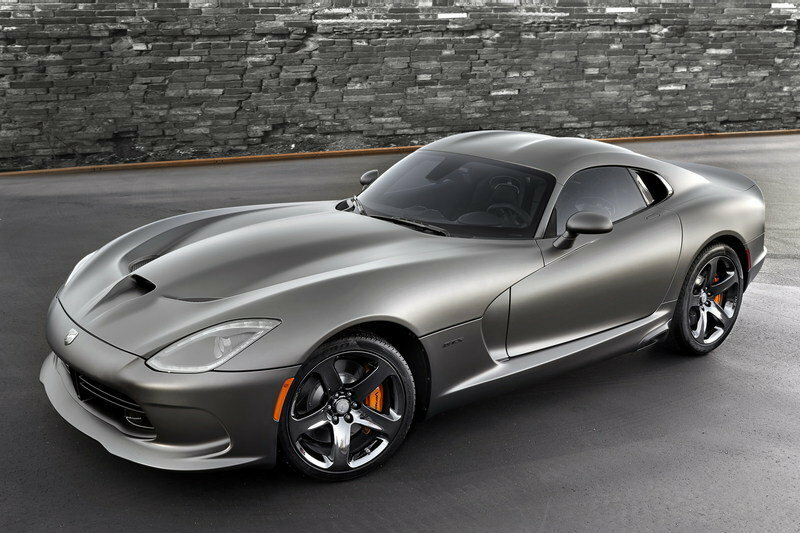 A total of only 50 SRT Viper Anodized Carbon Special Edition vehicles will be produced, with only 10 (Nos. 41-50) carrying the new Time Attack Group. A numbered dash plaque identifying each of the SRT Viper Anodized Carbon Edition vehicles is also part of the package. “We’ve received an overwhelming response to the unique metallic matte exterior color since first showing the Anodized Carbon Special Edition Viper late last year,” said Ralph Gilles, President and CEO – SRT Brand and Motorsports. “So we’re adding even more exclusivity with 10 distinctive SRT Vipers that combine our special exterior color with the new Time Attack Group of performance parts to offer our customers mind-boggling limits on their favorite road courses. The new Time Attack Group takes all of the functional chassis and aero parts from the Viper TA Special Edition and makes them available on the GTS price class. It includes a carbon fiber rear deck lid spoiler and two-piece front corner splitters to combine for a total of 339 pounds of down force at 150 mph. Also included are two-mode Bilstein dampers specifically tuned for optimal on-track performance and identifiable by their unique orange springs. 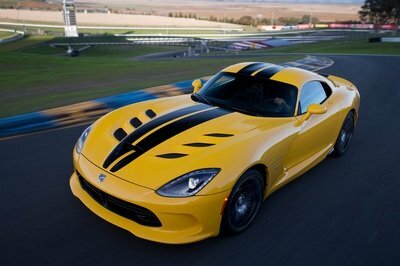 Street and Race Mode suspension settings offer firmer damping than the Viper GTS. Pirelli P Zero Corsa tires, matte black lightweight forged aluminum Sidewinder wheels and solid sway bars lead to even more capable handling. Track-duty two-piece Brembo brake rotors, adapted from the 2010 Viper ACR-X race car, add to an increased thermal capacity for additional resistance to brake-fade. As the first and only production application on a Chrysler Group vehicle, the Anodized Carbon Special Edition Package features Metallic Matte Black and satin surface finishes. Satin Black Vapor marks the exhaust bezels, fuel filler door, and carbon brake ducts and rear applique provide contrast to the Metallic Matte Black body. An Alcantara-swathed interior with orange stitching adorns the SRT Viper Anodized Carbon Special Edition. An Alcantara headliner, Alcantara-wrapped knee blockers and door bolsters provide interior surface texture contrast, while gunmetal bezels, orange vent accents, and carbon-fiber trim further accent the interior. The Nappa Leather and Alcantara-wrapped sport seats feature orange stitching.